Pushtimarg (one of the religious discipline) is spontaneous , selfless and motiveless love for Shri Krishna . It is based on pure love for Shri Krishna . It is expressed only through selfless service of Shri Krishna - “SEVA” . It is love after realising Krishna’s true nature . 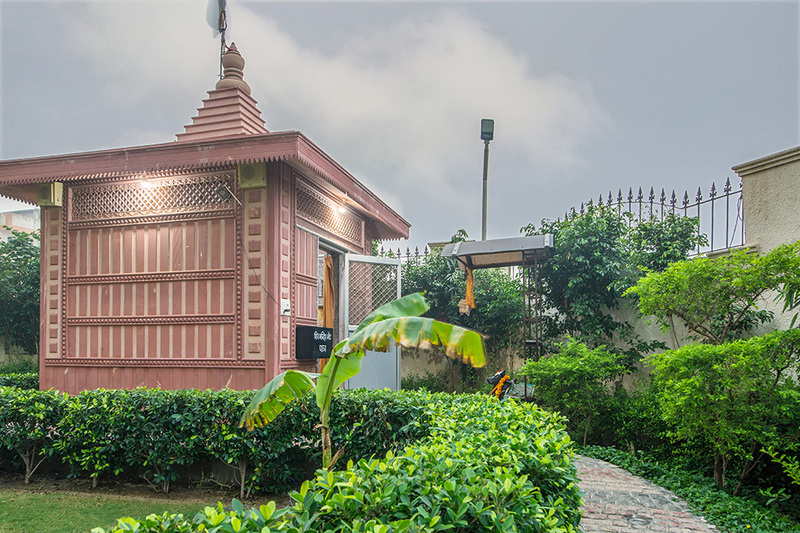 Our Premises boast to have the first and only Pushtimarg mandir of Vrindavan. 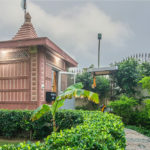 The temple is under the supervision of shri Shyam Manohar ji Maharaj , Gopal Mandir , Varanasi.Thakur Shree Nathji is worshipped in proper discipline with lots of ‘Raag , Bhog , Shringar’ (music,food offering,dressup) . Daily 8 times Darshans are there at the temple . Please contact the front desk to know the daily timings and arrangements of ‘Utsav’ , Rasoi , Aprahas seva etc. Lord Shiva is the supreme god with Shaivism, one of the three most influential denominations in contemporary Hinduism. 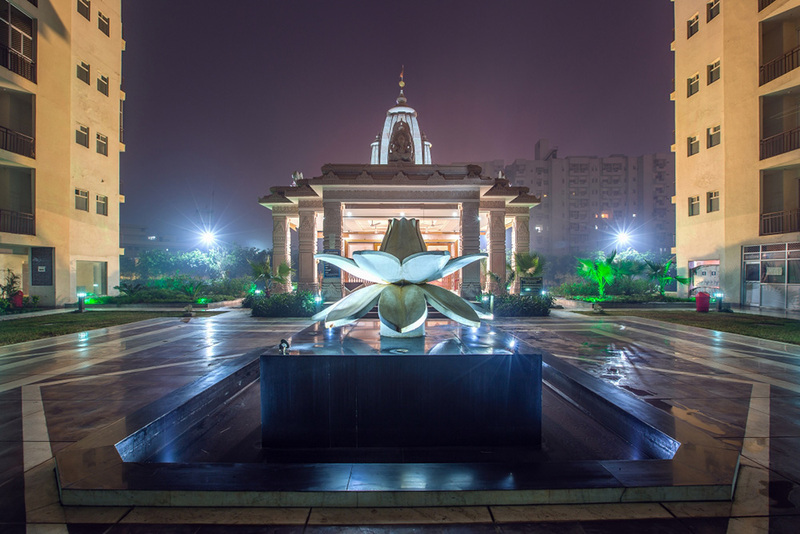 Our premises boast to have the Shiv family Temple , you can experience darshan, worship and can meditate.Please contact front office for the arrangements of ‘Rudra Abhishek. One of the name of Lord Krishna is ‘GOPAL’ meaning ‘Cow Protector’ . 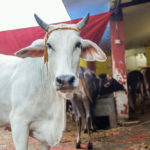 Millions of Hindus revere and worship Cows. 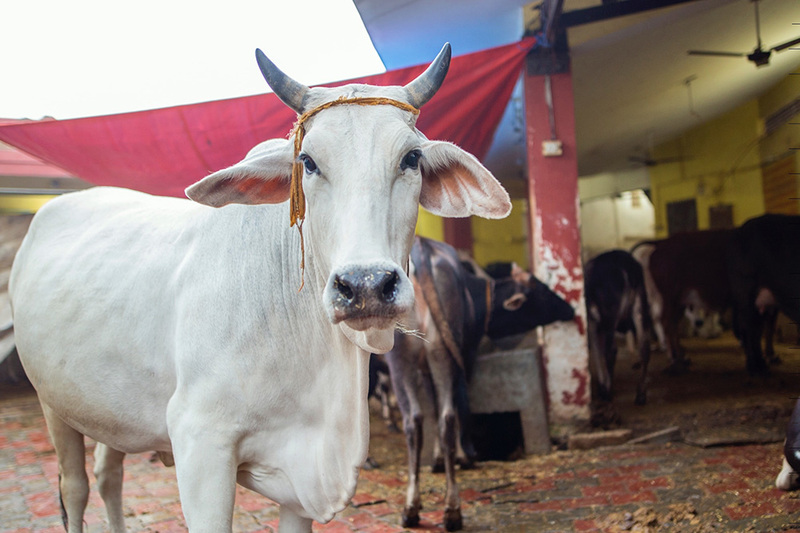 Our premises have one Gaushala residing more than 40 Cows which are pampered , serviced daily . You can serve / worship Cows there and can get pure Cow's milk . Serving the needy ones , serving the ones who have left everything except worshipping God , Serving the Sadhus it's just not merely gaining their blessings but its a bet way to feel happiness from inside and experiencing the Supreme. 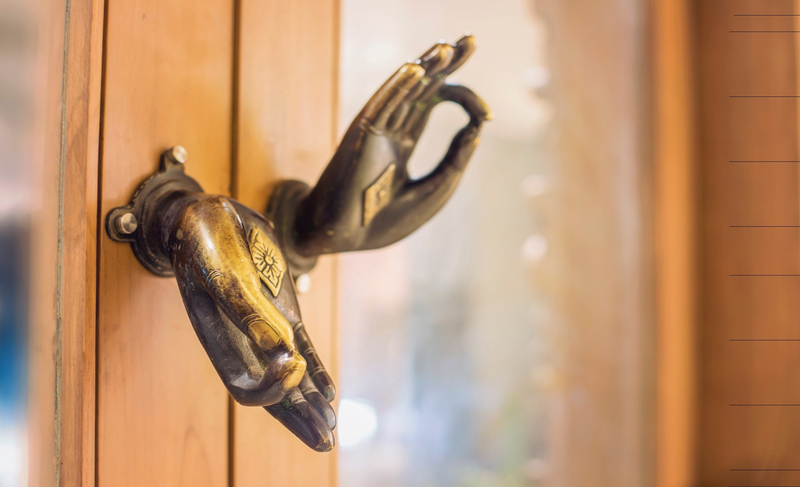 We have special kitchen and space for Preparing and serving food for Sadhus .Contact our front desk for the assistance , we will be glad to do all the arrangements . Bhagwata Purana is one of Hinduism’s eighteen great Puranas . 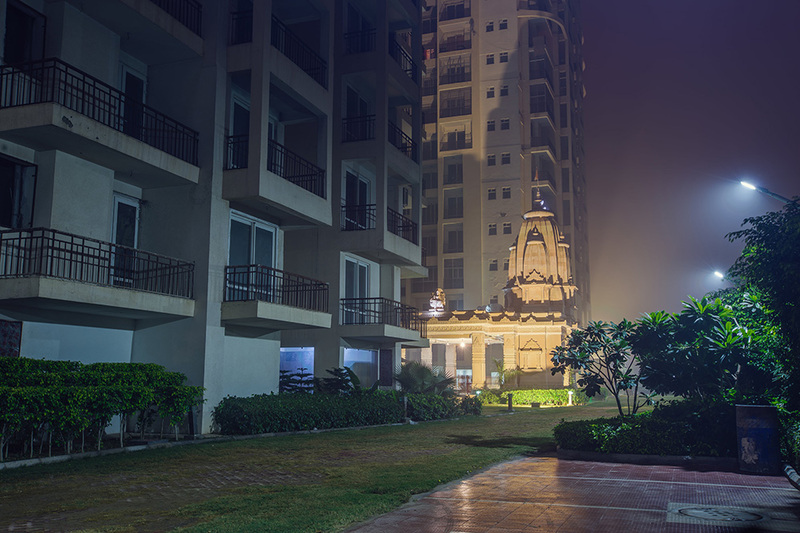 It promotes bhakti (devotion) to Krishna as the incarnation of Lord Vishnu. One who has enjoyed the nectar of its ‘rasa’ never has any desire for anything else . Listening to this Purana and that too at the holy land of Vrindavan is altogether a amazing experience . We have a space at Shrinathji Temple , where these arrangements can be done . Please contact front office desk for any assistance. Kirtan-Mantra Yoga , or the Yoga of chanting the mantras . The participation in Kirtan , in the public chanting of the names and glories of God, is very possible and is actually easy in this age . 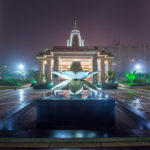 In the Bhakti Yoga system there are nine different processes : hearing , chanting , remembering , serving , worshipping the Deity in the temple, praying carrying out order , serving Krishna as a friend and sacrificing for him. 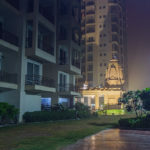 When Lord Chaitanya Mahaprabhu was performing kirtan in India some 500 years ago, He organised in each group 16 people to lead the chanting , and thousand of people chanted with them .We have a special banquet region designed and decorated with kirtan theme , stating that when you party in Vrindavan it should be dancing and chanting madly on the name of Lords . Your dance will become offerings to to the almighty . Please contact front desk for the arrangements , we will be glad to assist you . 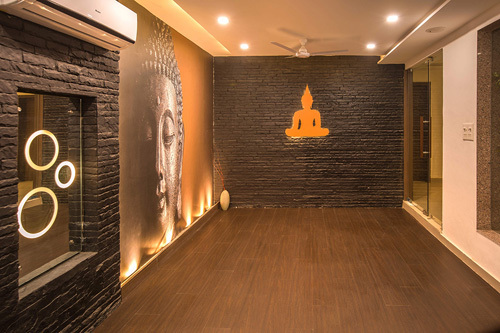 Please contact front desk , we can arrange for daily Yoga lesson by experienced teacher . You can practice Yoga at the Gym/meditation room or the open lush green gardens.